Hey ya'll and happy Friday! Would ya'll believe that I haven't....I repeat...have not started Christmas shopping AND our Christmas card STILL hasn't arrived?? What in the world is happening with my organization skills lately? Ahhh! I have a full service and full day wedding I'm doing tomorrow so shopping will most likely be next week. I am, however, so excited to be back in the wedding planning game and cannot wait to make her winter wonderland theme perfect! I'll definitely try and snap some pics. 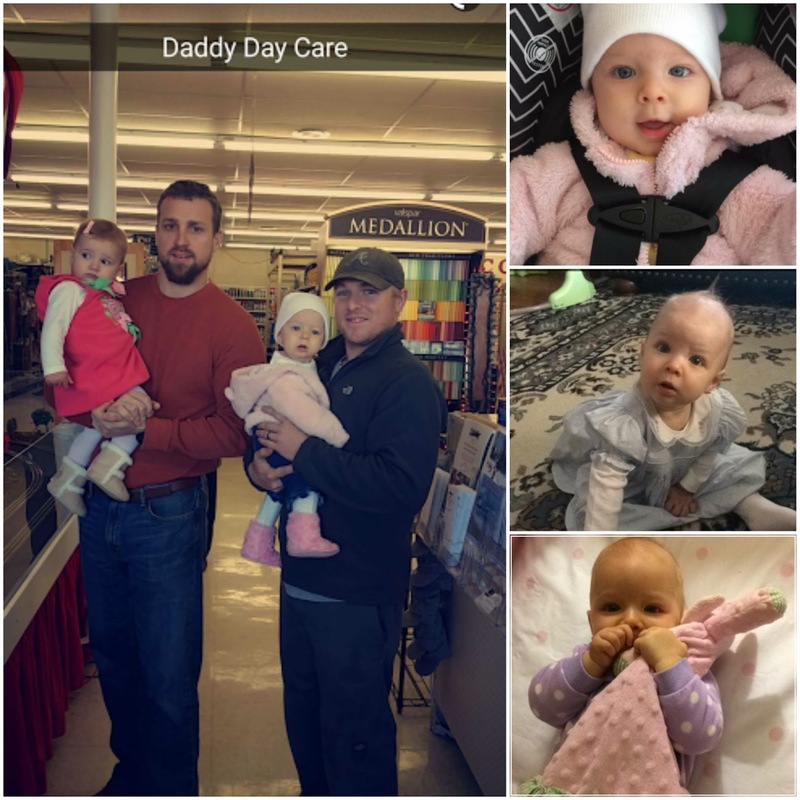 Speaking of snaps, today I just wanted to share my favorite snaps my hubs sent me last weekend while I was on my girls trip. (add me if you're a snap-a-holic like me - jessicamc313) These are the absolute best and made me feel like Miss A was right with me. I hope ya'll have a fun and productive weekend! Anyone want to shop for me? Anyone? 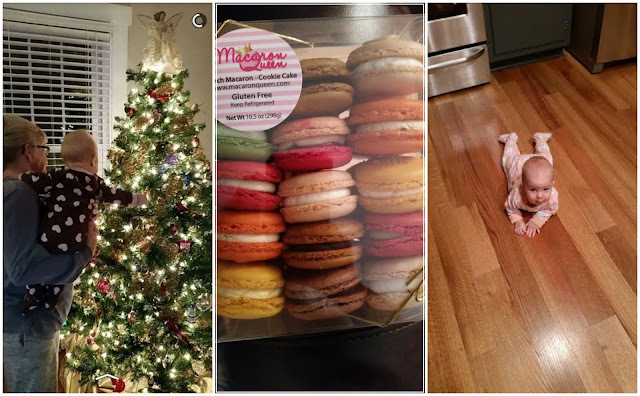 Plus some decorating the tree at Grandma Lala's, my first macaroon experience in Atlanta and Miss A practicing some crawling (backwards) this week! Happy Weekend! Those snaps are so cute! Love the Daddy Day Care one haha. I hope everything goes well this weekend with the wedding!! Can't wait to see pics and hear all about it! What fun snaps, I LOVE macaroons, they are so delicious. Good luck this weekend, lady! I know you will rock it out. Can't wait to see your cards! She will be on the move soon! Those macaroons look amazing! What is more fun than daddy daycare?! ha!